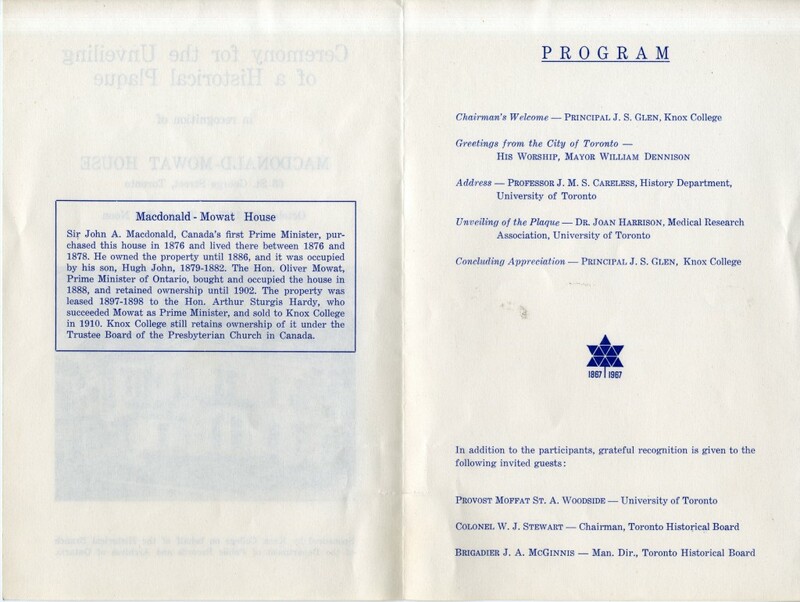 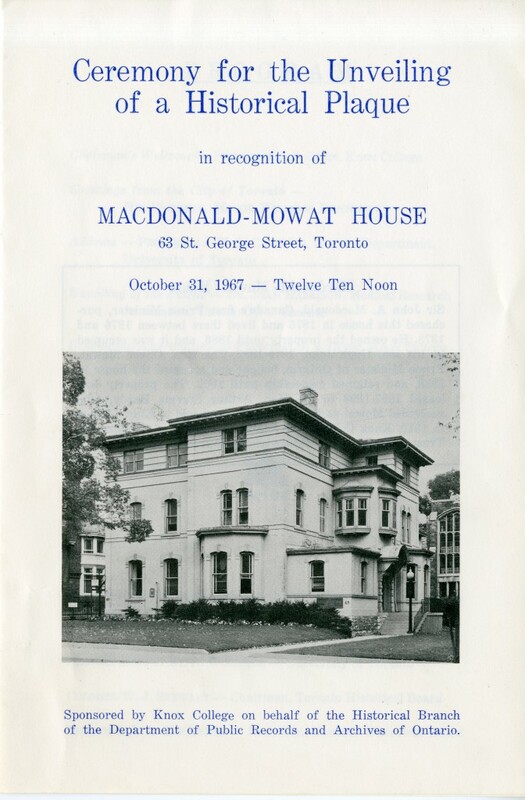 On October 31, 1967 MacDonald-Mowat house received a historical plaque recognizing its significance as a building in Ontario. 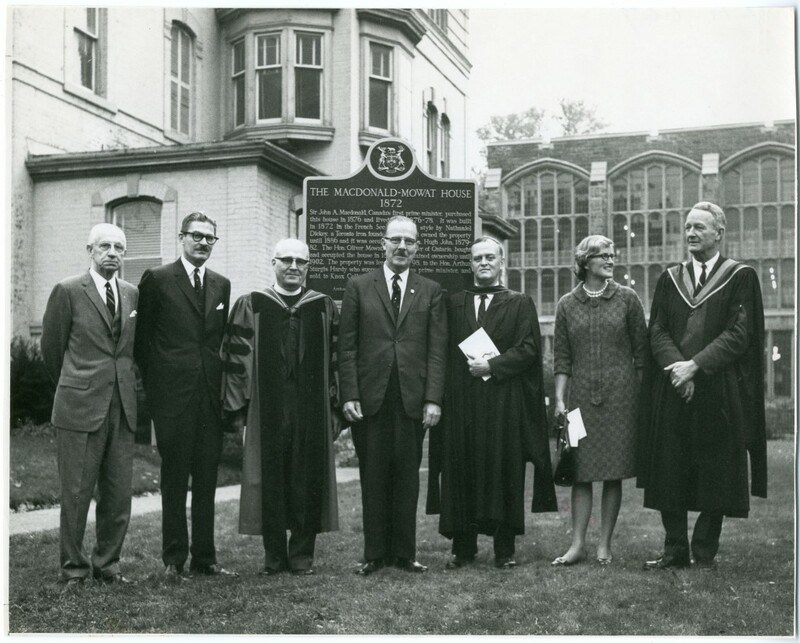 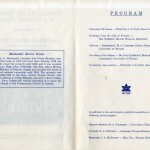 This plaque was presented on behalf of Knox College and the Department of Public Records and Archives of Ontario. 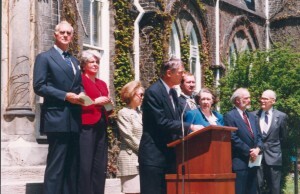 Knox had owned the building since 1910 and allowed the building to be used for several different purposes throughout the years. 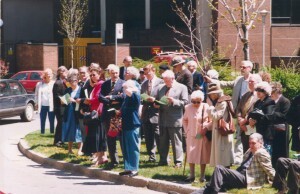 The Presbyterian Church in Canada’s national office was here for a brief period of time in the 1960’s, and today it is the School of Graduate Studies offices. What makes it historical is this was the home of Sir John A. MacDonald from 1876-1878, and owned by him until 1886. 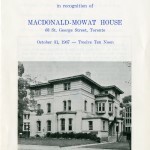 He was not the only person of significance to live here as Oliver Mowat also resided here. 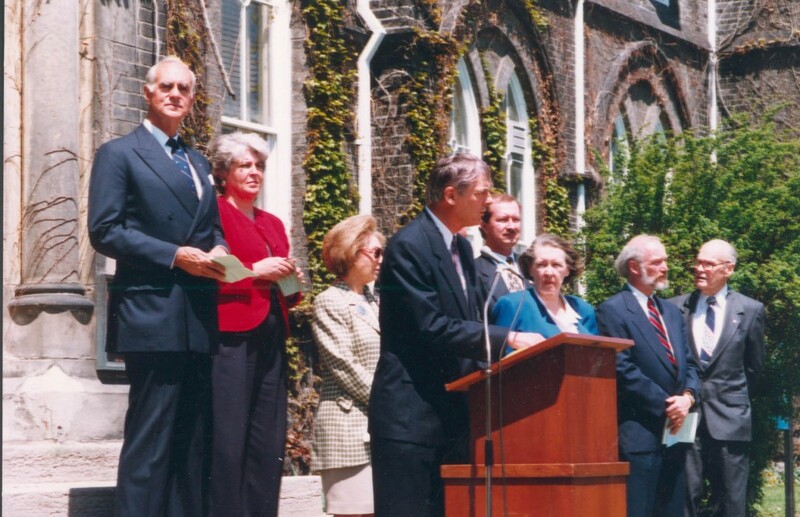 Mowat was Ontario’s third Premier and served in that position for almost 24 years. 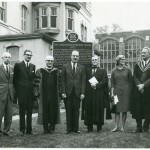 Stanley Glen, who was the Principal of Knox at the time of the plaque unveiling made the opening and closing remarks for the ceremony. 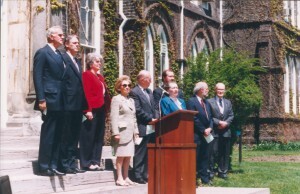 Knox College was given a Plaque on May 16th 1995. 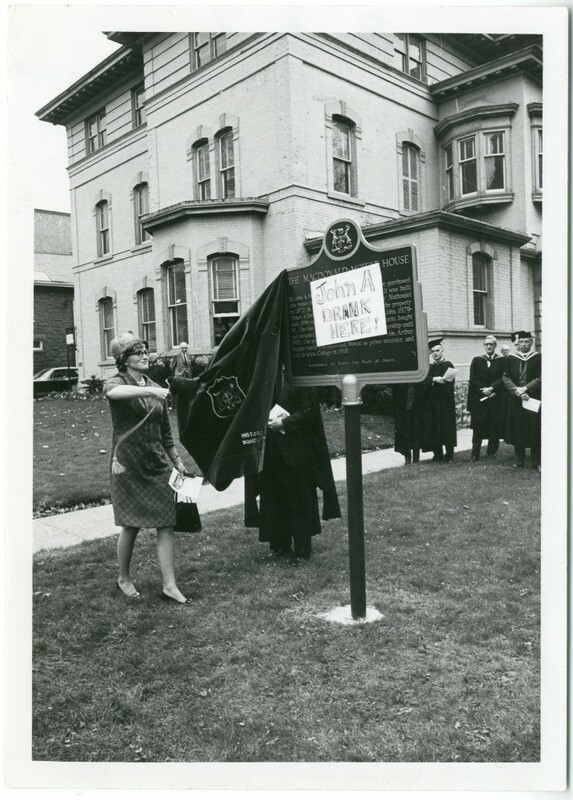 The plaque is on the old building but is meant to recognize the historical value of Knox College as an institution, not just the building. 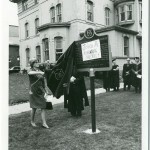 Both buildings are in the historical building registry, and were added to the registry on June 20th 1973. 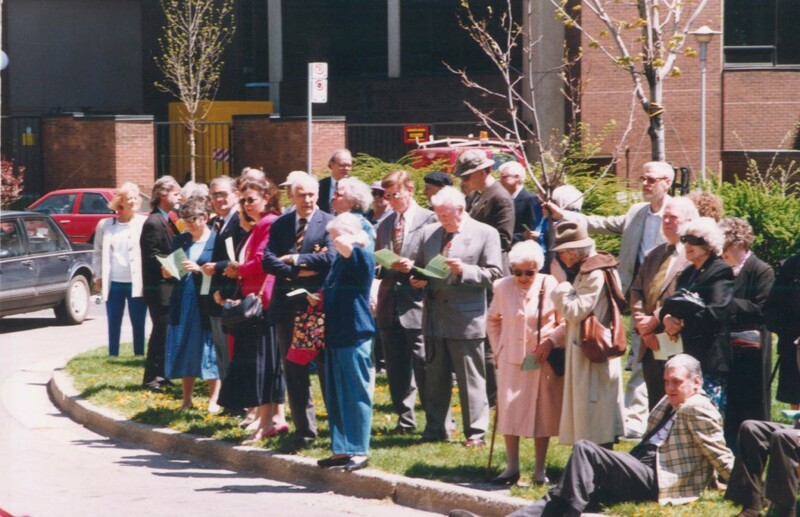 Several prominent figures in Ontario and in the Presbyterian Church attended the plaque unveiling ceremony.